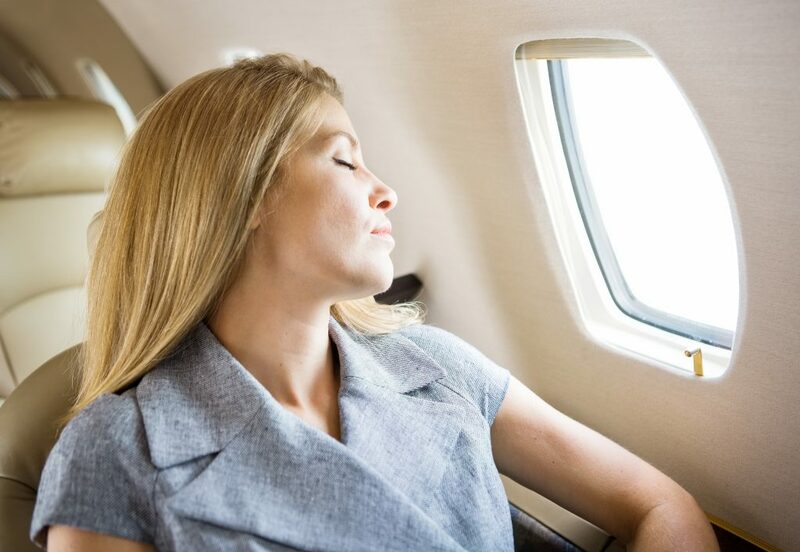 Plane travel can wreak havoc on your skin in more ways than one. It’s very important to continue your skincare routine – with a little extra – while traveling. You can prevent your skin from getting too puffy, irritated, dry or too oily by using these simple steps while on the plane. This will especially be helpful with flights to MAWC 2019 this week! Staying germ-free on a flight to avoid getting sick is essential. Hand sanitizer will also be important before touching your face for your beauty routine. Make sure not to put on foundation before your flight. It’s also important to remove any excess makeup before starting your in-flight skincare regimen, so makeup wipes are great because they do not require a sink or water. We love a sheet mask for the ultimate moisture it provides skin. Our favorite is the Lumière de Vie Moisture Intense Sheet Masque. This is the definitive treatment that is formulated with aloe to intensely moisturize while reducing oxidative damage from the everyday elements.Utilizing the powerful hydrating effects of hyaluronic acid, this specialized sheet masque instantly revitalizes dry, aged skin on contact. After soothing your skin with a sheet mask, it’s time for serum. We love Lumiere de Vie Serum Concentrate. It contains antioxidants help reduce the effects of oxidative stresses and brightens the skin. For ultimate hydration after a serum, use a moisturizer like Lumiere de Vie Intense Rejuvenation Creme. It’s a super-hydrating, intensive repair treatment developed for chronically-stressed skin and designed to work with the skin’s renewal process. An ultra rich, fast-absorbing formula specifically formulated to reduce the appearance of lines, wrinkles and age spots as it imparts skin with the look of improved radiance and newly-found firmness. This is a major in-flight essential because you can spritz it easily at anytime during your flight for a bit of moisture. We love Lumiere de Vie Rosé Refresher because it contains Aloe and Botanimoist. These effectively soothe and moisturize for skin that feels soft and smooth to the touch, while Phytic Acid brightens for a more refined, radiant complexion. This versatile mist is a pick-me-up for your skin that instantly refreshes makeup and provides long-lasting hydration. Revitalize, renew and reset skin with this calming rosewater toner. Have a safe flight and see you in Miami at MAWC 2019!